NORTH BAY, Ont. 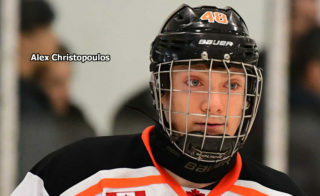 – Brett McKenzie and Mike Baird have signed education contracts with the North Bay Battalion, the Ontario Hockey League club announced Thursday. 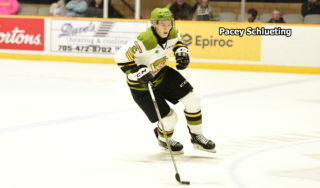 Centre McKenzie was the Battalion’s first-round pick, 10th overall, in the OHL Priority Selection on April 6. Left winger Baird was tabbed in the second round. 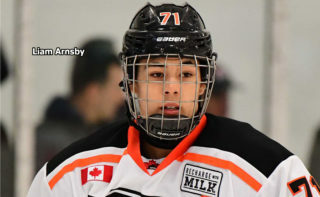 Both players attended the club’s orientation camp at North Bay on May 25-26 and are among five Battalion prospects who advanced to the final camp for the Ontario under-17 camp at Oshawa in August. 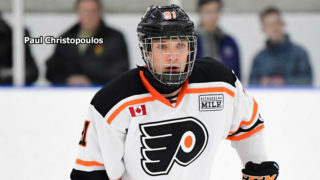 McKenzie, a six-foot-one, 178-pound resident of Vars, Ont., had 38 goals and 64 assists for 102 points in 63 games last season with the Oakville Rangers minor midgets, who captured the Ontario Minor Hockey Association title and the OHL Cup. McKenzie said he has a busy summer ahead as he prepares for his first major junior season. 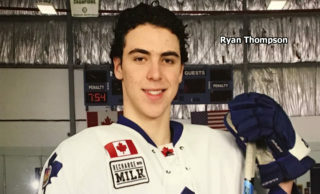 Baird, six-foot-one and 171 pounds, scored nine goals and added 13 assists for 22 points with 252 penalty minutes in 53 games for the Southern Tier Admirals minor midgets. He turned 16 on March 25. Baird produced some offence during the orientation camp’s four on-ice sessions. Baird has heard his physical style of play will endear him to fans in North Bay. 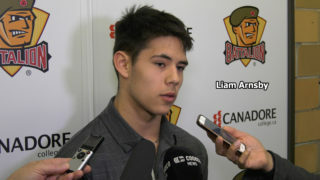 Baird said he expects to take some time to adjust to life in the OHL. Baird hails from Cayuga, Ont., a community of 2,000 south of Hamilton. He said he’s both excited and nervous about relocating to North Bay.